This brand-new module for Joomla! 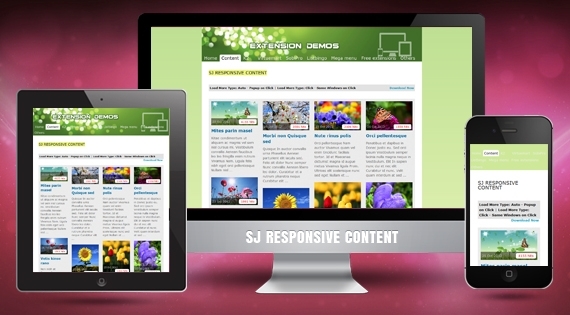 is named SJ Responsive Content. With a responsive layout, it will bring mobile experience instantly to your readers without any coding effort. Made for Content component, this module shows all articles as a Pinterest page (infinitive scrolling). SJ Responsive Content allows your audience read articles in a non-stoppable way, but without any annoyance. It is because of its ability displaying featured images along with small intro texts, in order to quickly get reader's attention. Specially, these items can be popped up into a new pop panel, with all details of that articles as well. Moreover, simple configuration at admin panel allows you tweak every styles within a few seconds, then it works like a charm.